Welcome New Sponsor, Mr. Heater! We are happy to announce our new sponsorship with Mr. Heater! Koens Racing Team is proud to have Mr. Heater on board and we look forward to many years of partnership with them. Mr. Heater offers a wide variety of outdoor/sport and home/jobsite products! From stoves and portable showers to battery operated shower systems and of course heaters. Mr. Heater has you covered indoors and outdoors! Please visit our friends at Mr.Heater and tell them Koens Racing Team sent ya! Andrew Koens would pilot the #06 NASCAR K&N West Series Zap Solar car in his first professional race! Friday practice was all about getting used to the heavy stock car around the tricky 3/8 asphalt track at the Douglas County Speedway in Roseburg, Oregon. Saturday was race day! The stands were full, the fans were excited and the sun was out in full force! Everything was looking good and we were ready to roll out for the final practice session. Andrew was doing a great job and his lap times were getting better and better each lap. As the session drew close to an end, the motor blew up. Car owner, John Wood, pulled out his personal racecar and told Andrew to get it ready. Andrew had no laps in this car at all and went out and qualified 2/10ths faster than his primary car! However, with zero modifications allowed we just could not set the car up for the upcoming race. The race went smoothly for Andrew as he quickly learned how to stay out of the way of the leaders and the championship contenders, giving space for clean passes and respecting the other drivers. After all the dust settled and all the wrecks he missed, Andrew ended up 14th out of 20 cars and only 3 laps down! An excellent first time NASCAR experience for sure! After a 2 year break from driving a race car, Wade Koens is ready to pilot the team's new #28 Dealer Spike Chevy super late model at the Firecracker 126 in Rochester, Washington at the South Sound Speedway this Saturday July, 2nd! Koens is excited to be back on the track. Although this will be the first time racing a super late model at South Sound Speedway, Koens has made hundreds of laps there while driving professionally for the Rusty Wallace Experience, a ride-a-long program giving fans a realistic racing experience in ex-NASCAR Cup cars. "Those Rusty Wallace ride-a-long cars are nothing like our super late model cars. Our cars are much lighter and have twice the horsepower so the laps I have at that track may help some but overall the difference I will feel in my #28 Dealer Spike Chevy vs. the the laps I have in the NASCAR Cup cars will be huge but I will adapt quickly, I'm sure." Koens said. 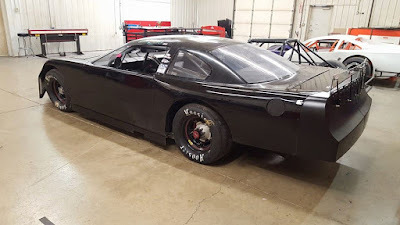 This will be the first time out in the new Lefthander car that Koens Racing Team purchased a couple of months ago from the factory in Illinois. The team had planned to bring the car out to their local track in Roseburg, Oregon for some practice and shake-down laps but found a cracked brake master cylinder the night before practice. So now the team will rent the track at South Sound Speedway on Friday July 1st, for the much needed practice time. Spotter and modified driver, 17 year old Andrew Koens (son of Wade) said, "We are hoping to not only get good solid practice laps up there but to also get all the bugs worked out before the big race on Saturday." Koens went on to say, "Friday will be a big day for us...a good practice on Friday is how you win a big race on Saturday and we are going up there to win for sure. We are not in their points race so we intend to give it everything we have!" This will also be the first race for newly added partner, Dealer Spike and they will be the title sponsor for this race. The #28 Dealer Spike Chevy looks great and would look even better in victory lane after this 126 lap race! Wade Koens said, "we are very excited to have Dealer Spike come on board with us for the 2016 season! Dealer Spike is a fast growing, world-wide digital advertising company based in Portland, Oregon and they produce incredible websites, marketing packages, social media integration and much more for all kinds of dealers. If you have a dealership of ANY kind, do yourself a favor and contact Dealer Spike...and tell them Koens Racing Team sent ya!" 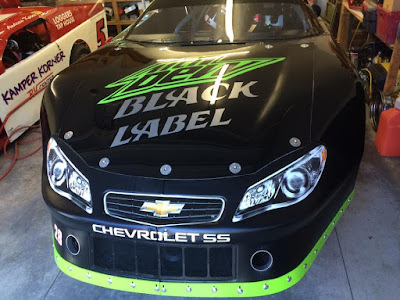 Wade Koens went on to thank his other sponsors; "Long time sponsor, Pepsi, has decided to put Mountain Dew Black Label on the car this time and it looks awesome! If you have not tried a Mountain Dew Black Label, you are missing out!" "Of course, the primary sponsor, Kamper Korner RV Center is back and Koens Racing Team would have a hard time racing without their support. If you or anyone you know is looking for a great deal on a used or new RV, please contact Kamper Korner RV Center in Roseburg, Oregon and again, tell them Koens Racing Team sent ya!" Koens Racing Team is always looking for great partners and sponsors. If you are interested in being part of the team, please contact Wade at 541-673-1258 for more details and pricing options. Welcome our new sponsor to the #28 super late model...DEALER SPIKE! We are excited to announce a new sponsor/partner with Koens Racing Team on our new #28 super late model...DEALER SPIKE! Dealer Spike is a world-wide digital advertising company focused on helping dealers increase sales and service profitability through online digital advertising and training. We provide beautiful, powerful, distinctive web solutions and tools to hundreds of dealers worldwide. Our expertise comes from real-world dealership experience and a passion for listening and responding to our dealers' needs in the marketplace. Dealer Spike is focused on helping dealers drive more traffic to the showroom, phone, and internet for less cost. Welcome to the team! Andrew Koens had a fast #5 Loggers Tap House Modified Saturday night and showed great patience while working his way to the front. Koens, a high school senior, displayed his patience by working the track and the rear bumpers on his way to the front in front of the crowd at the Douglas County Speedway May 28, 2016. It was evident that Koens had the fastest car on the track and he made impressive outside lane passes for 2nd place and then for the lead. Once in clean air, Koens cruised to the win...the second of his young career! After qualifying 2nd fast and finishing 2nd in the fast heat, Koens laid off the tires in the trophy dash finishing 4th. The next scheduled race for Andrew Koens is June 18th at the Douglas County Speedway in Roseburg, Oregon. Please enjoy the in-car camera video of the winning race. Comments are always welcome! Wade Koens back to racing in 2016! Wade Koens will be behind the wheel once again after a year off. Koens Racing Team has recently acquired a 2014 Lefthander Chassis from the factory in Illinois. The super late model car has all the recent updates for the division along with some top of the line adjustment tools, giving Koens a much better chance to run up front with some of the best racers in the Northwest. Mountain Dew Black Label quickly joined as a partner to Koens Racing Team and will be featured on the hood of the new car. Returning sponsors include: Loggers Taphouse, Kamper Korner RV Center & Thetford. We are currently seeking new sponsors for this #28 Super Late Model for the 2016 season. Please inquire within by contacting wade@rv-center.net for more information. The 2016 race schedule for the #28 Super Late Model will start with the only visit to the Douglas County Speedway June 11th, then multiple stops at South Sound Speedway beginning with July 2nd. Other stops will include Eureka, California and Shasta (Redding) California. Andrew Koens began his quest for a Championship in the Modified division at the Douglas County Speedway 2 weeks ago by finishing 1st in the trophy dash, 1st in the fast heat and 3rd in the main event for an average finish of 1.67 for the first racing action of the 2016 season. He will be racing again tomorrow (May 21st) at Roseburg looking for his 2nd career main event victory! The #5 Kamper Korner RV Center modified is proud to have the following returning sponsors: Loggers Taphouse, Kamper Korner RV Center, Thetford & Mountain Dew Kick Start! Strong 9th place finish for Andrew Koens at the Shootout! 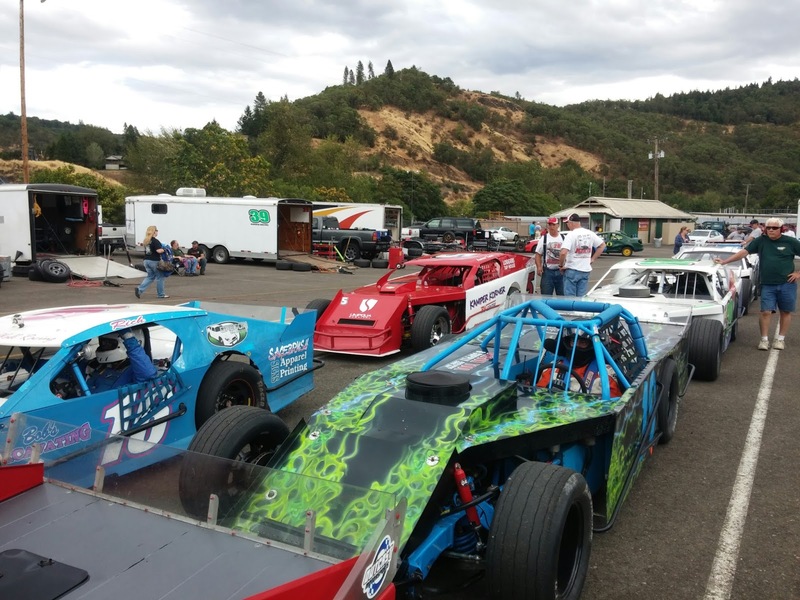 22 cars qualified for the annual Kamper Korner RV Center Modified Shootout at the Douglas County Speedway in Roseburg August 29th. Roseburg High School senior Andrew Koens qualified 9th and finished a very respectable 9th in the race as well. The top 3 qualifiers set new track records, making it known that the competition level would be the highest of the year for sure. nd stopping just a few feet from the tire barrier. Andrew kept his position and continued on with his race. September 12th is the last race of the season for the modified division at the Douglas County Speedway and the 17 year old driver is eager to end the year on a high note. "Our Umpqua Survival #5 Modified has been fast the last couple of races and we won at the last points race in Roseburg so we have to feel good going into the last race of the year here" Koens said. He went on to say "Our team has fought hard this season to overcome many mechanical issues early on, so we would like to begin our 2016 season on a positive note by winning the last race of 2015!" Look for The Wild Child to be aggressive and fast en-route to his 2nd career victory this weekend. Feel free to add comments and dont forget to view the race videos at the bottom of the page. You can email me anytime with questions or comments as well. Thanks for supporting NWRacing!